session context was:(profile=DefaultProfile, phase=org.eclipse.equinox.internal.p2.engine.phases.Collect, operand=, action=). 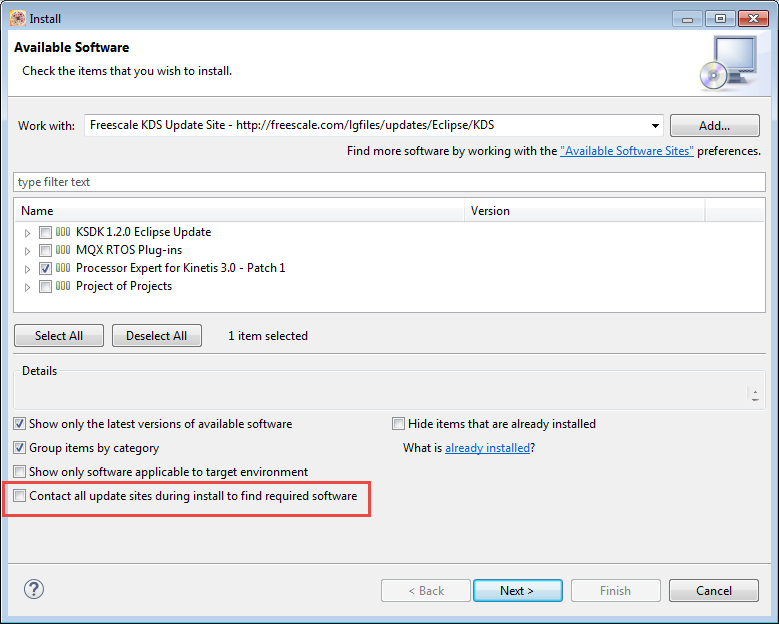 So this option is not only to disable for better installation performance (see “Reduce Eclipse ‘Install New Software’ Installation Time“), but as well to fix some strange installation problems too :-). It looks like this is a known problem in Eclipse, see http://stackoverflow.com/questions/6470802/what-to-do-about-eclipses-no-repository-found-containing-error-messages. This entry was posted in Eclipse, Tips & Tricks and tagged Eclipse, Tips&Tricks by Erich Styger. Bookmark the permalink. Wow thanks worked for me while trying to install JSHint! dont work with me … why? and what does must do ? Maybe it is about the handshake/encryption problem discussed here: https://community.nxp.com/thread/445975 ? I am facing problem when I am going to add ABAP on Perspective option in hana studio.In the below am giving the problem screen short.If you kindly provide me the right solution.Thanks in advance. session context was:(profile=hdbstudio, phase=org.eclipse.equinox.internal.p2.engine.phases.Uninstall, operand=[R]com.sap.ide.support.feature_root.win32.win32.x86 1.13.6 –> null, action=org.eclipse.equinox.internal.p2.touchpoint.natives.actions.CleanupzipAction). Backup of file C:\Program Files (x86)\SAP\hdbstudio\collectSupportInformation.bat failed. I believe you don’t have enough access rights. 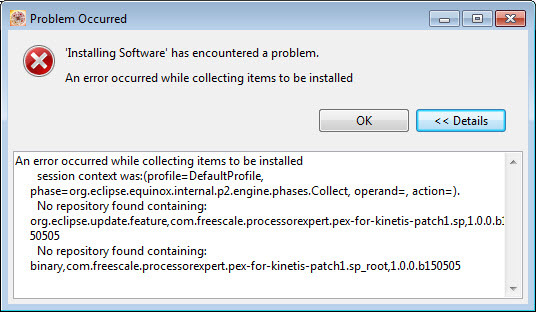 It tries to write to c:\program files and you probably are not running the IDE in administrator mode.